Let's start at Old City Hall. 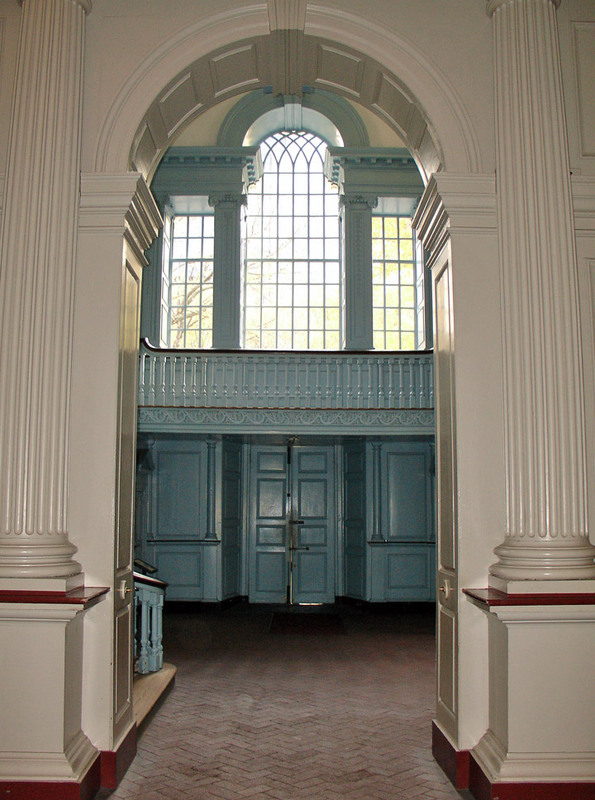 The building was erected between 1789 and 1791. 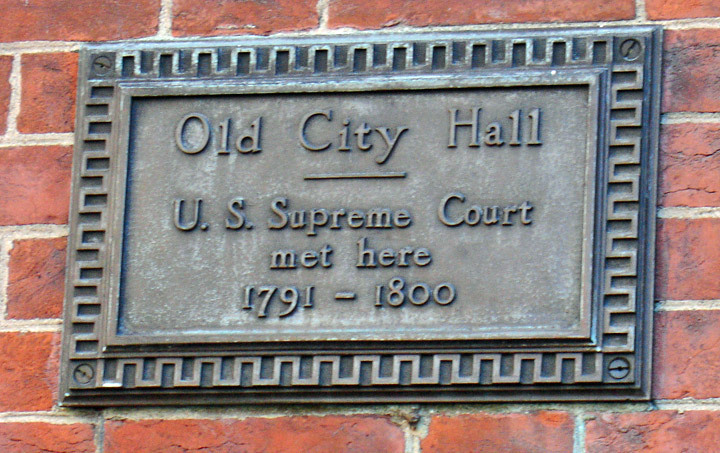 It was first intended for use as City Hall, but from 1791 to 1800 it housed the United States Supreme Court, which was presided over by John Jay until 1795. 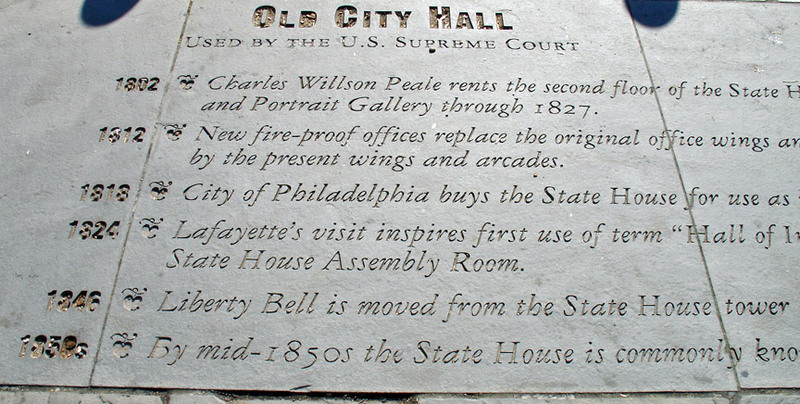 It served as Philadelphia's City Hall from 1800 to 1874, when the city government moved to the present site. 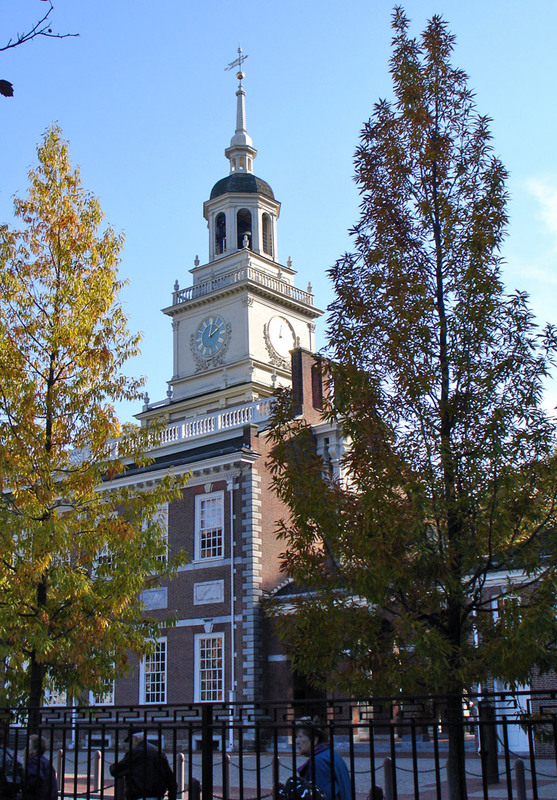 The State House or, as it is popularly known, Independence Hall, was begun in 1732 and considered finished by 1756 as the Pennsylvania State House. 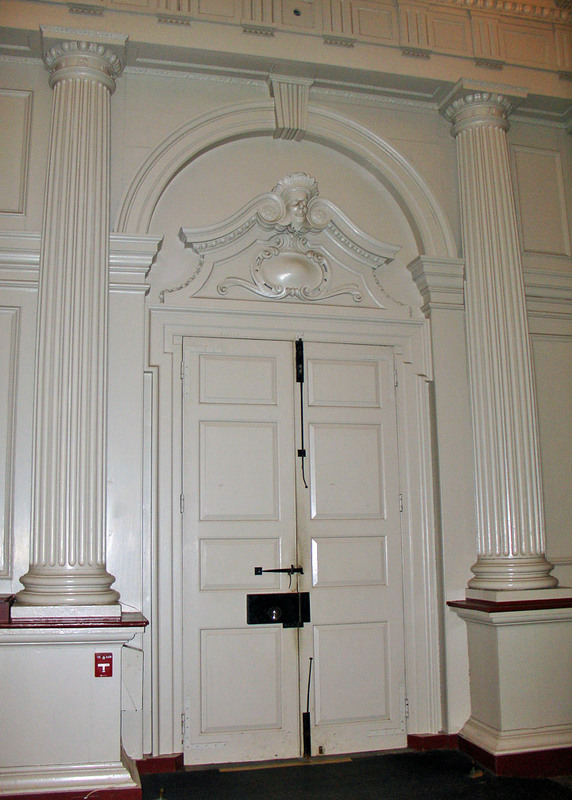 Its architects are thought to have been Edmund Woolley and Andrew Hamilton. 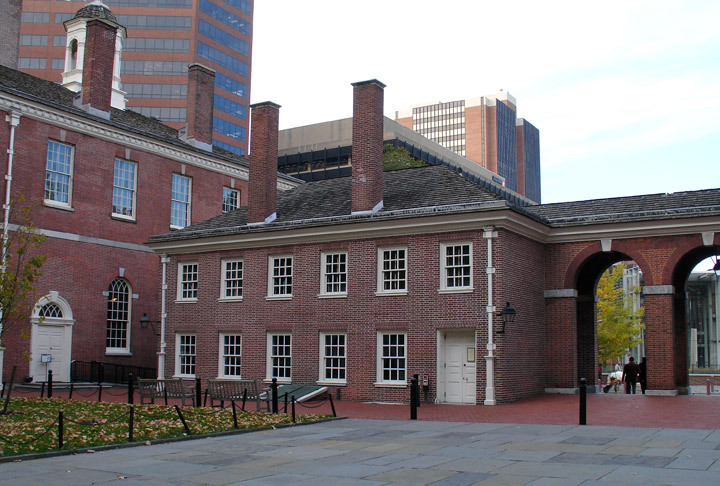 Until 1799 the building served as the meeting place of the provincial and state governments. 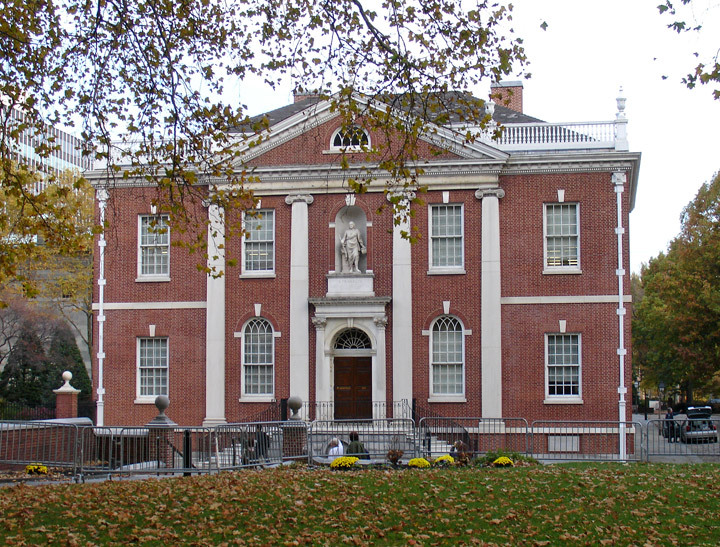 The Second Continental Congress met here. 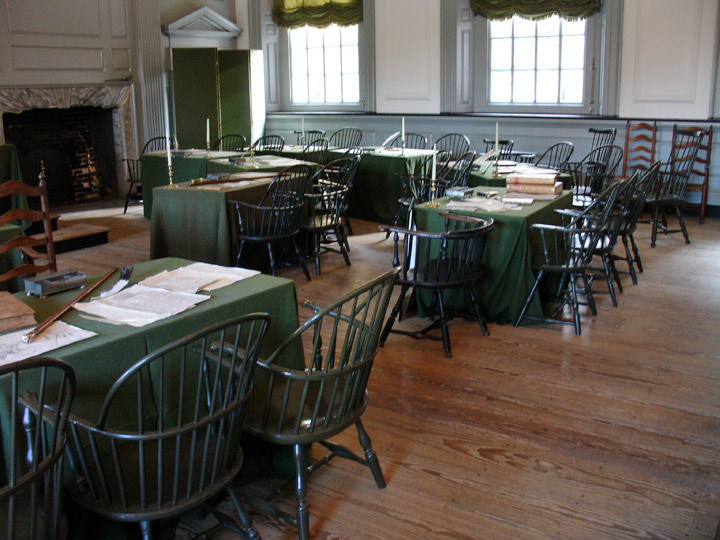 The Articles of Confederation were drafted and ratified here. 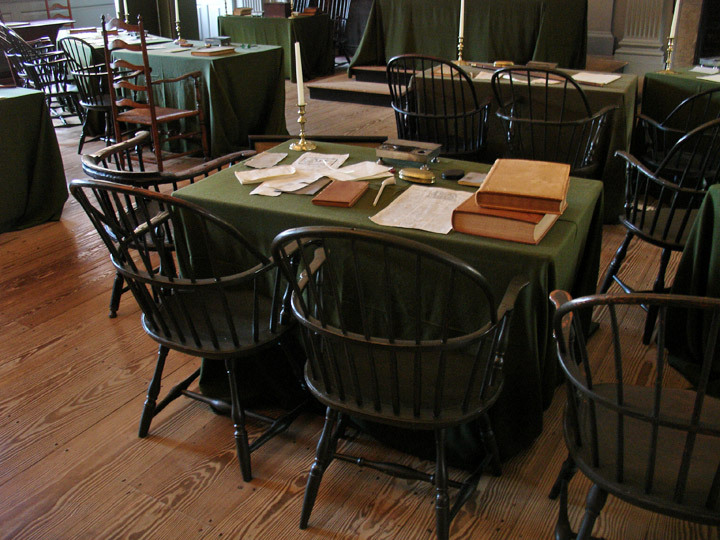 And, the stormy sessions of the Constitutional Convention, presided over by Washington, were also held here. 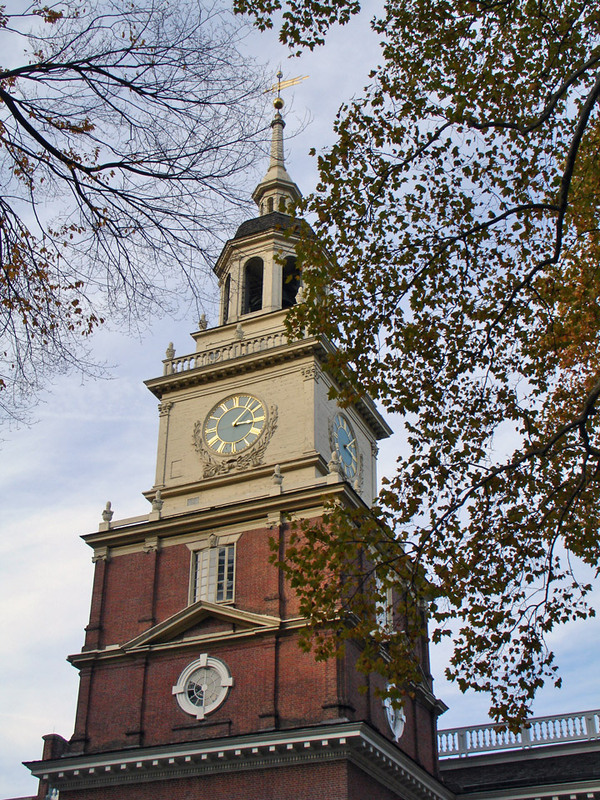 The present spire which tops the tower proper was added by William Strickland in the restoration of 1828 — a fact not generally known. 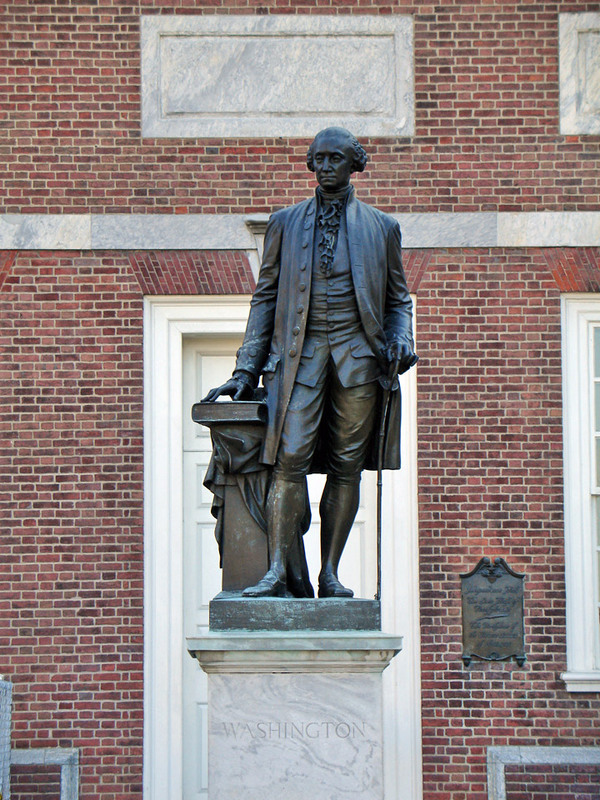 In front of the entrance itself is a familiar statue of Washington erected in 1869. 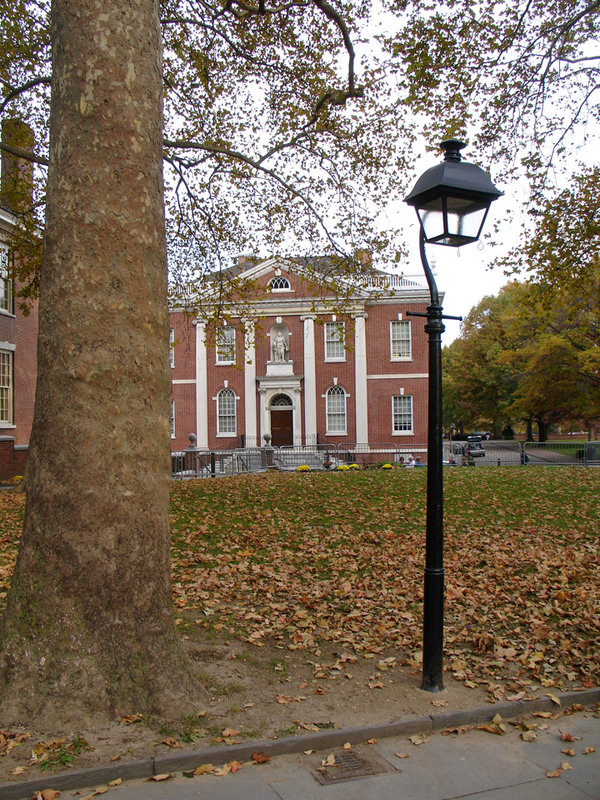 Philadelphia schoolchildren, beginning in 1860, gave their pennies to pay for it. 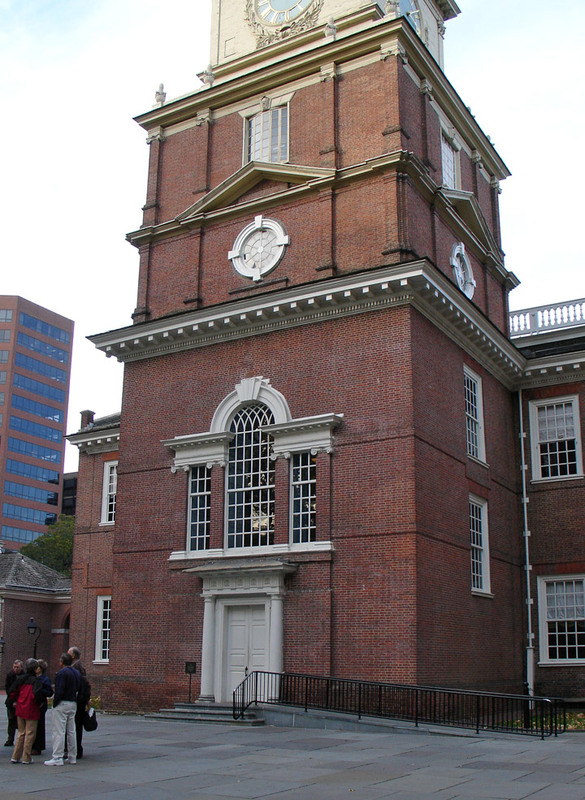 To the left of the entrance hall is the Pennsylvania Assembly Room. 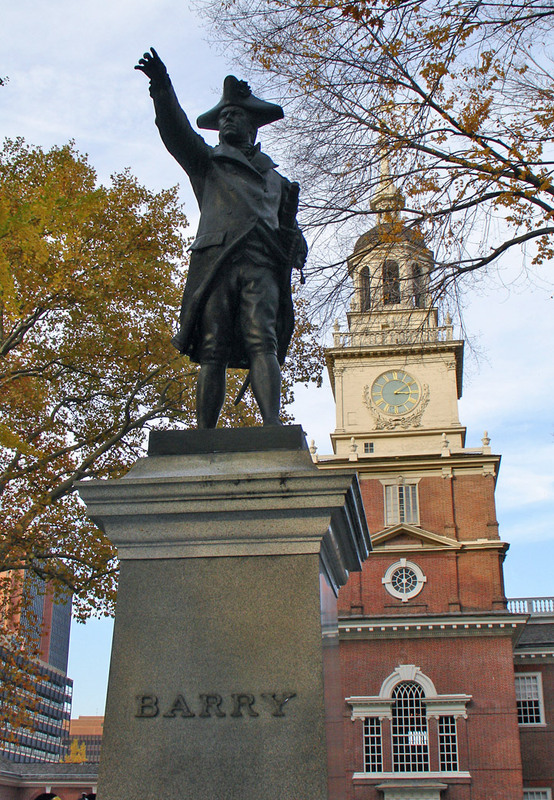 Here the delegates from the thirteen colonies gathered and by July 4, 1776, had adopted the Declaration of Independence. 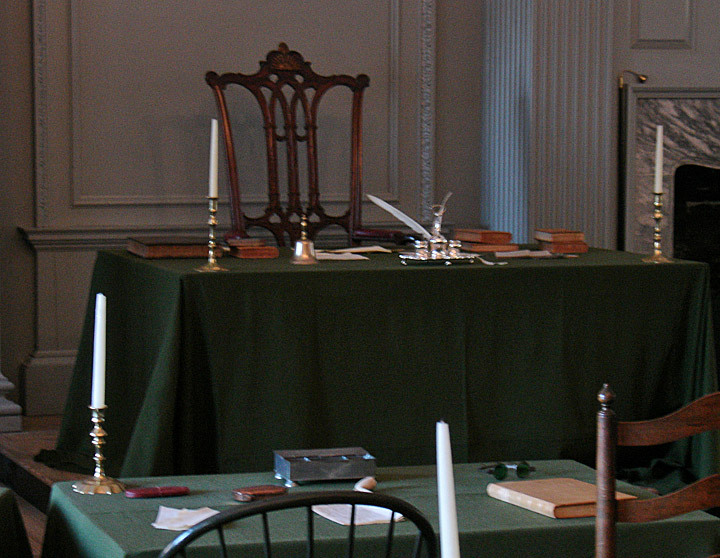 The most important treasures in the room are the chair used by Washington during the Constitutional Convention, with its rising sun carved on its back and the silver inkstand designed by Philip Syng, used for the signing of both the Declaration of Independence and the Constitution. 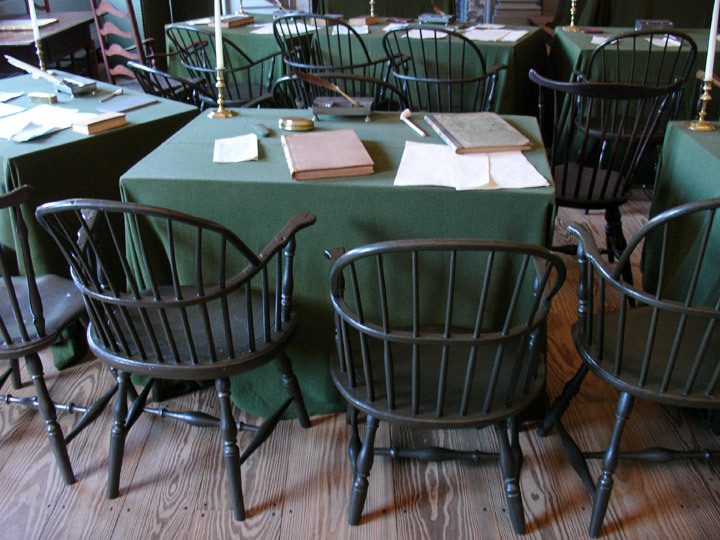 The room has been restored to its appearance at the time of the signing and the chairs, tables and writing equipment are of the period. 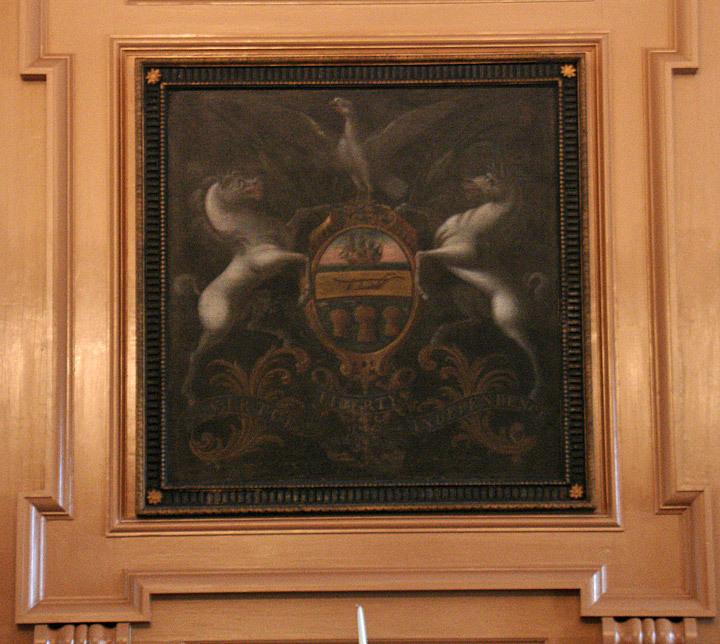 Across the hall is the Pennsylvania Supreme Court Chamber with its handsome ochre-painted walls and the coat of arms of the Commonwealth above the bench. 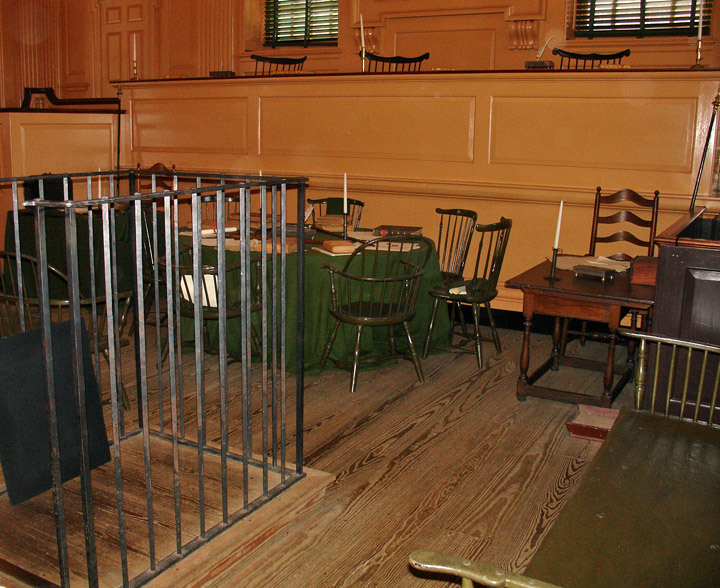 There are a prisoner's dock and jury boxes. 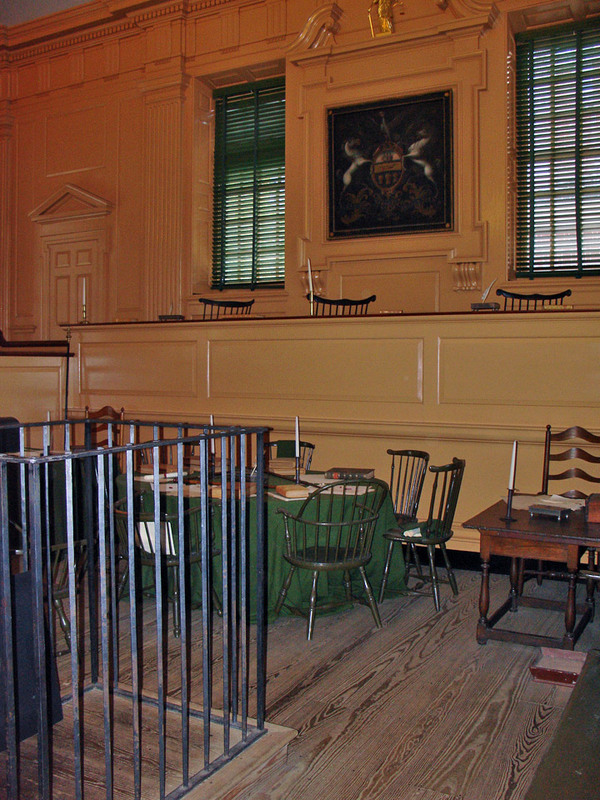 Prisoners stood in the dock throughout the course of their court proceedings — giving rise to the expression "stand trial." 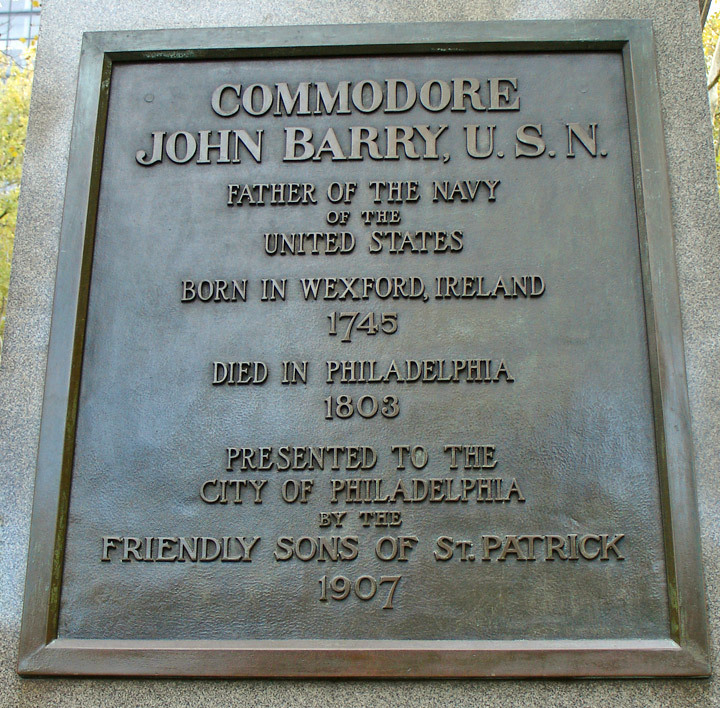 The visitor should ascend the tower staircase slowly to savor the beauty, the simplicity and the elegance of the tower itself, with its Palladian window facing the old square and framing the statue of Commodore John Barry, "The Father of the American Navy," standing among the ancient trees. 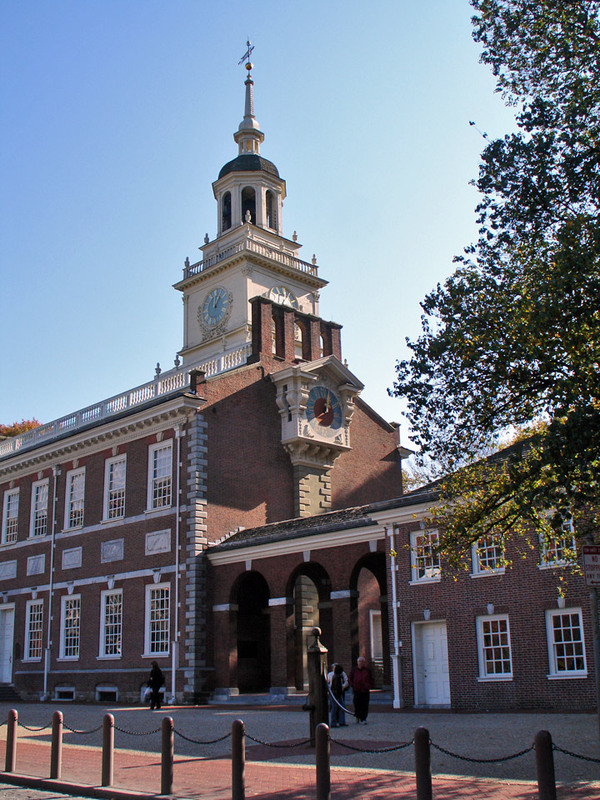 Independence Hall was used for parties in the 19th century, and among those so honored here were Lafayette, Henry Clay and Presidents Jackson, Van Buren, William Henry Harrison, Tyler, Polk, Fillmore, Pierce and Buchanan. Among those illustrious Americans who have lain in state here are Lincoln, Henry Clay, John Quincy Adams and the Arctic explorer, Elisha Kent Kane. 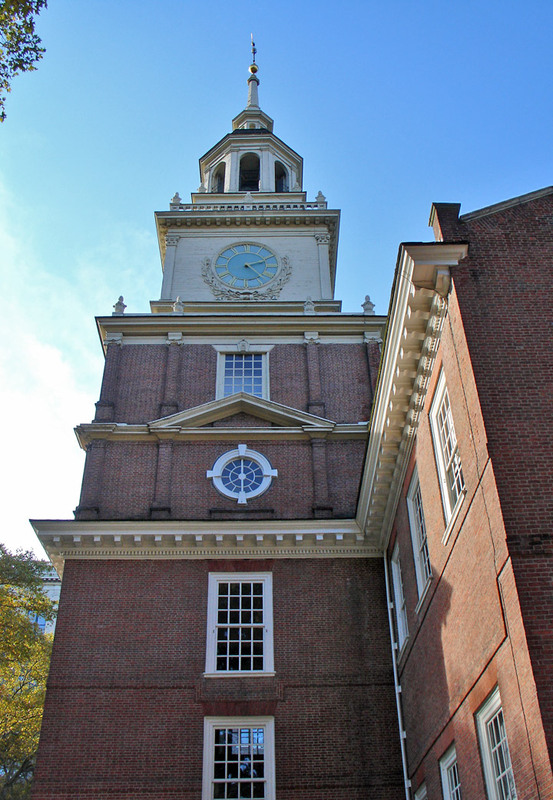 Descending to the first floor, leave Independence Hall by the south door, which gives onto the square. 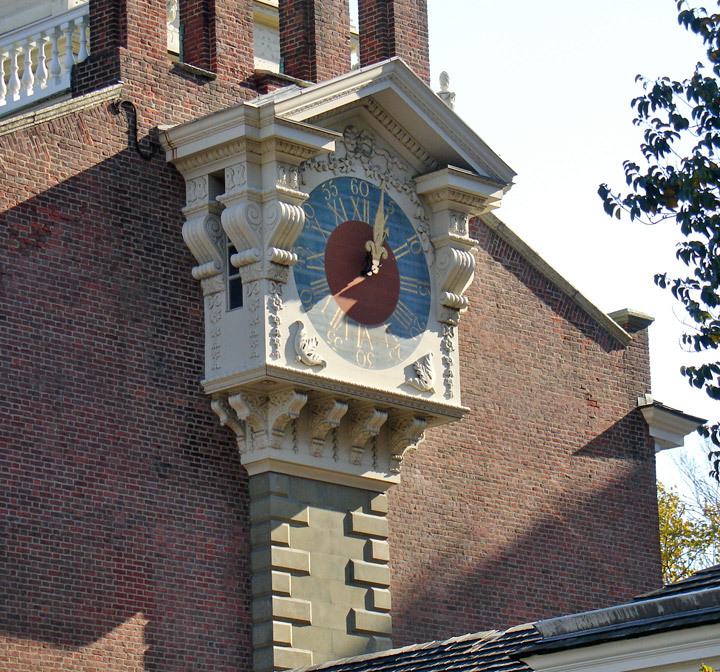 In 1972 the National Park Service replaced the great outdoor clock, which was originally set into the west wall in 1752 and removed in 1828. 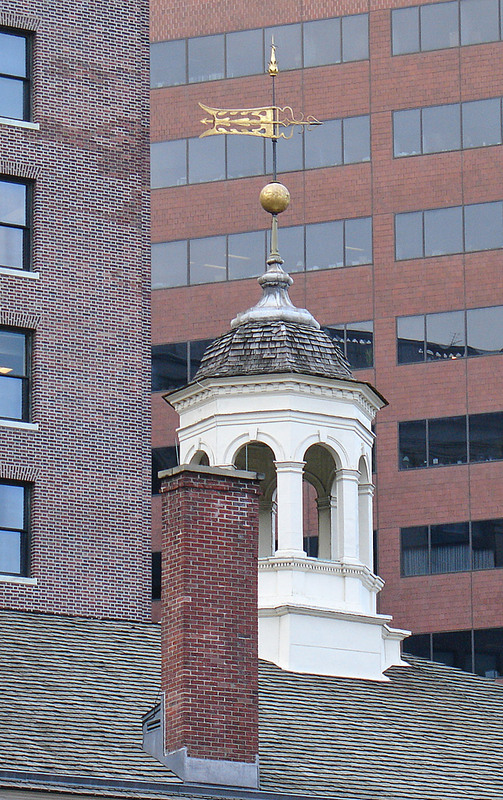 A 14-foot carved replica of the remarkable clock head was installed on top of the 40-foot soapstone case structure. The hurried visitor may rush on, but linger if you can — saunter about the winding paving-stone paths and look at the Hall from the vantage point of the square. The proportions of the tower alone delight the eye, the symmetry of the building — in fact of the entire complex of buildings — is a tribute to the artisans and men who built it. Here is the balance and order of the 18th century at its apogee. 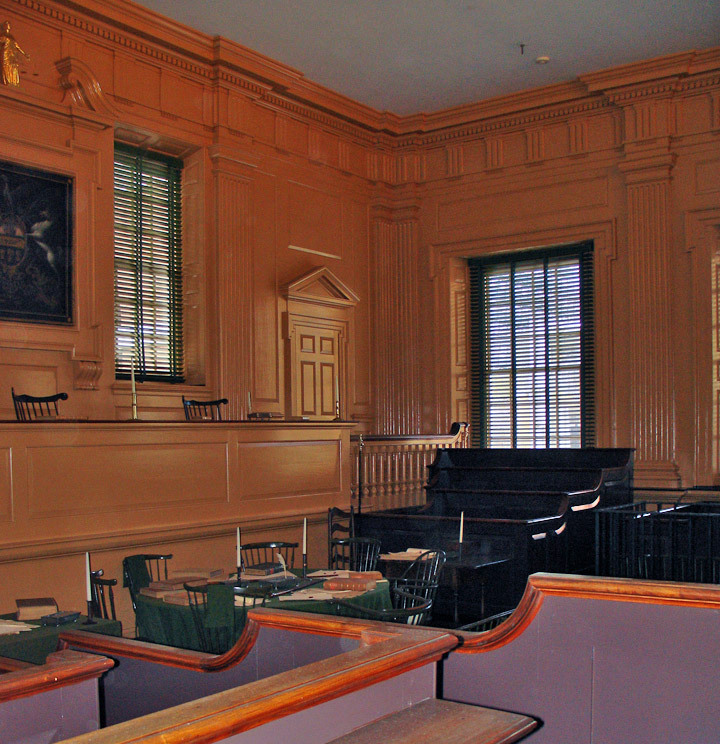 This was once the home of the United States Congress. 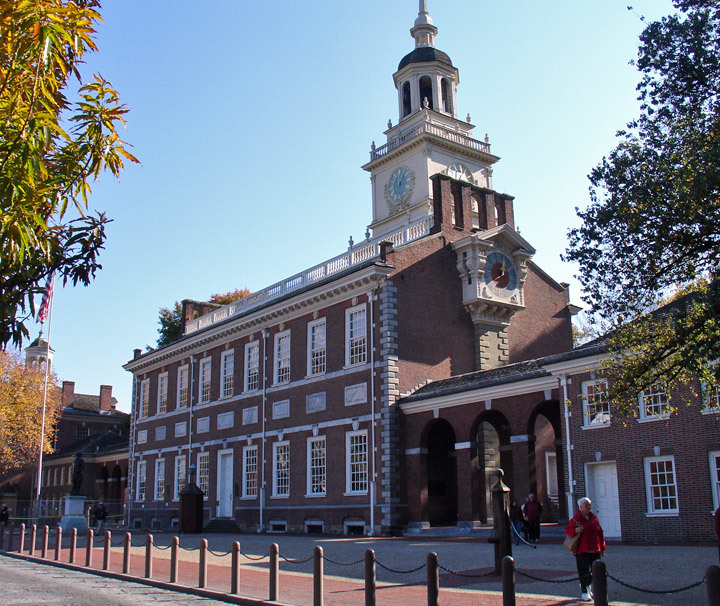 Independence Hall (seen from the Liberty Bell) is flanked on the right by Congress Hall. 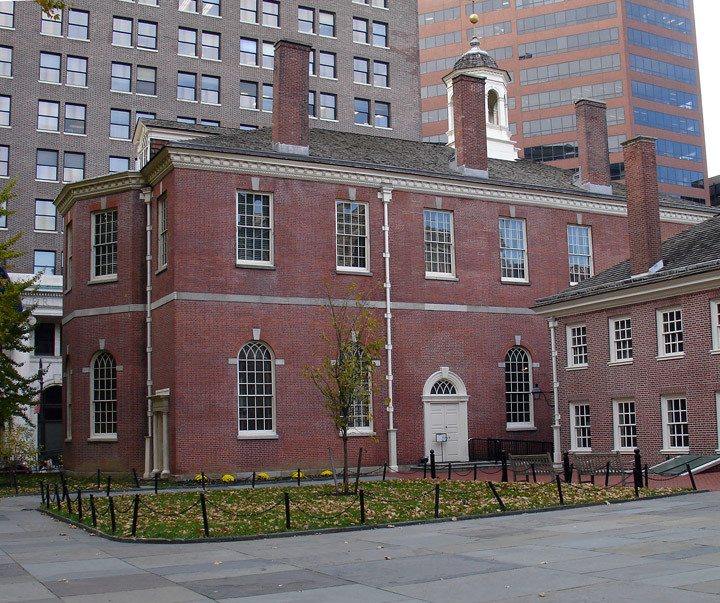 The newly formed United States Congress occupied Congress Hall when Philadelphia was the capital of the United States from 1790-1800. 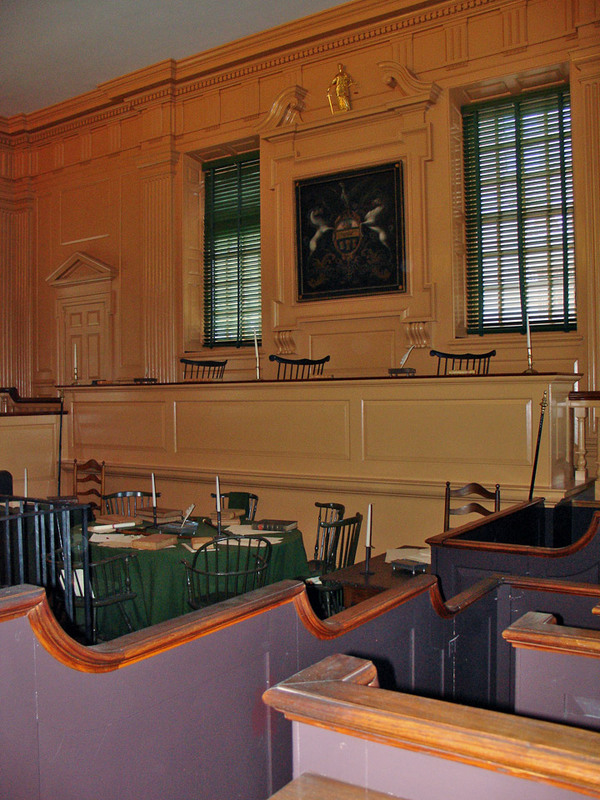 Congress Hall has been restored to the way it looked in 1793-1800. 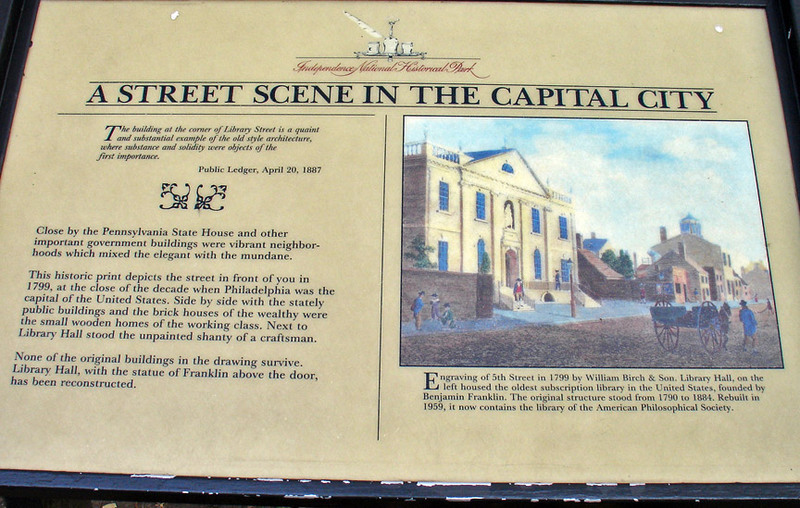 The first floor was occupied by the House of Representatives. The upper floor was occupied appropriately, by the upper house, or the Senate. 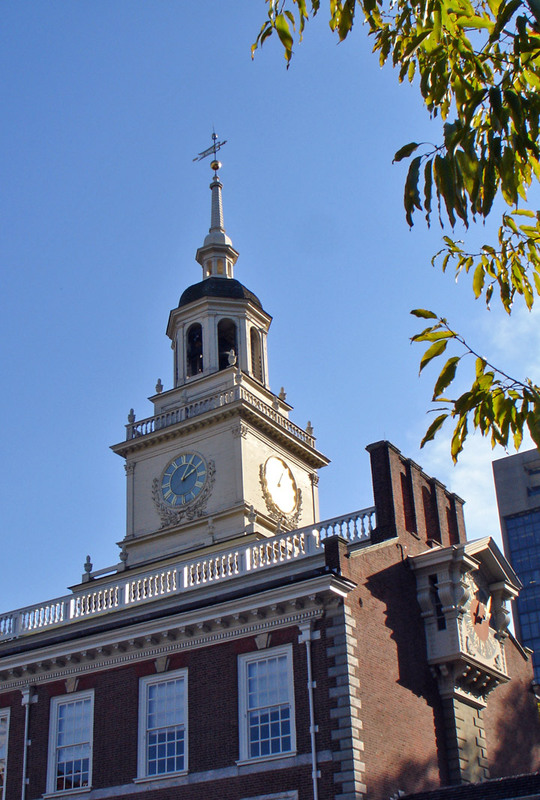 In 1793, President George Washington was inaugurated here for a second term. Four years later, in a precedent-setting ceremony in the House of Representatives chamber, the reins of power were passed from George Washington to John Adams. At the close of the ceremony, John Adams waited for Washington to lead the exit, as everyone had grown accustomed to, but Washington insisted on leaving the room after the new President. 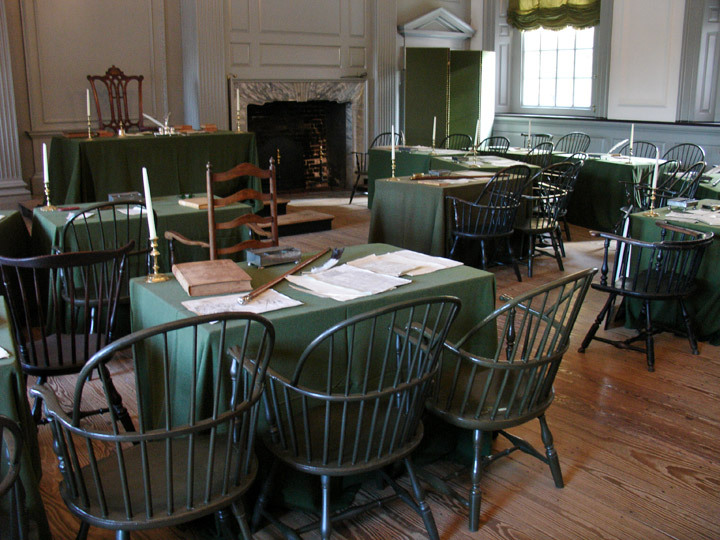 Finally, and perhaps most important of all, the Bill of Rights was ratified while Congress met in these rooms. If possible, do not miss the opportunity to tour this building. 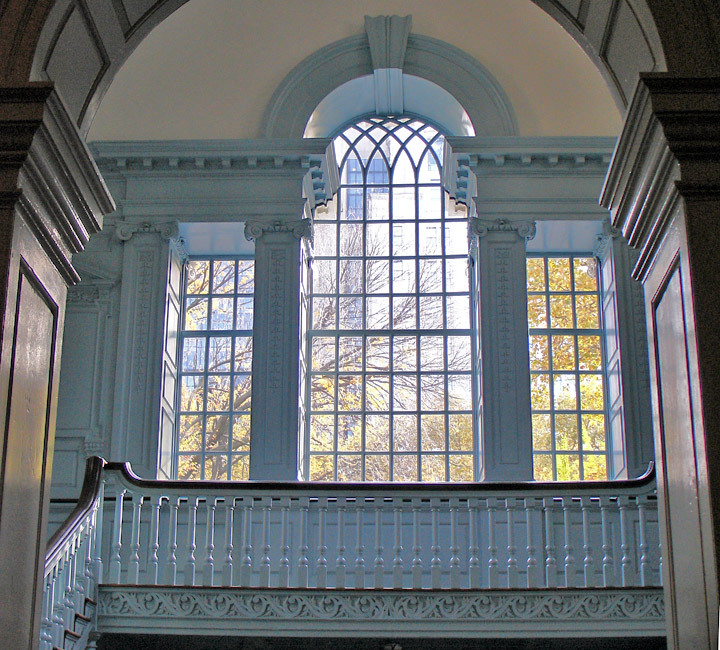 On the first floor in the House chambers, the valances of dark green above the windows enhance the mahogany of the desks and studded leather chairs. In the south bay is an alcove where Representatives smoked, and drank sherry, port, and madeira. Note too, the small boxes filled with sand near the fireplaces. These were spitting boxes, used in an age when snuff and chewing tobacco were common. 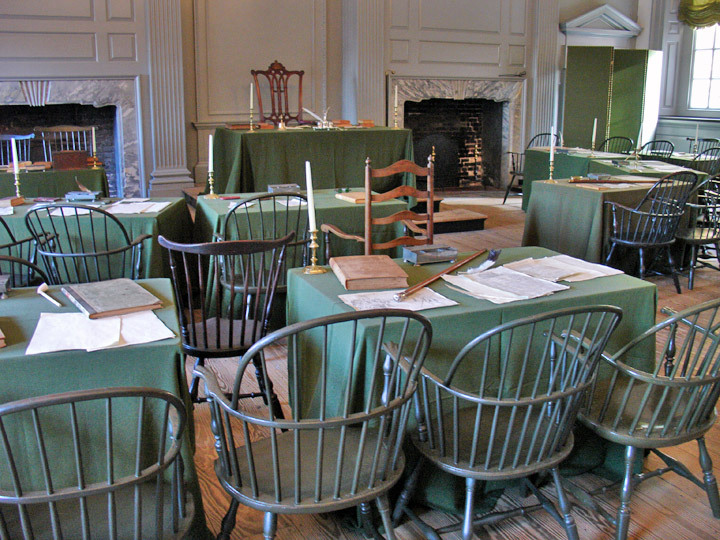 Upstairs, 28 of the 32 chairs and the Secretary's desk are authentic. Also remarkable is an 19th-century fresco of an eagle holding an olive branch signifying peace. 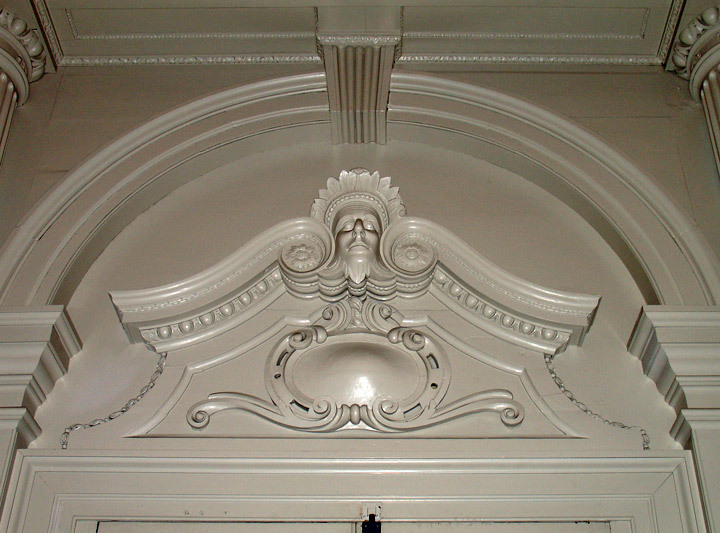 Notice too, the plaster medallion on the ceiling — an unusual and elegant touch: it has an oval sunburst design honoring the thirteen original states with thirteen stars. The carpet is a reproduction of the original carpet made in the early 1790s by William Sprague of Philadelphia. Its designs are typical patriotic symbols with the centerpiece a chain of 13 state shields. In the corners are cornucopias echoing the wish for abundance in the new land. 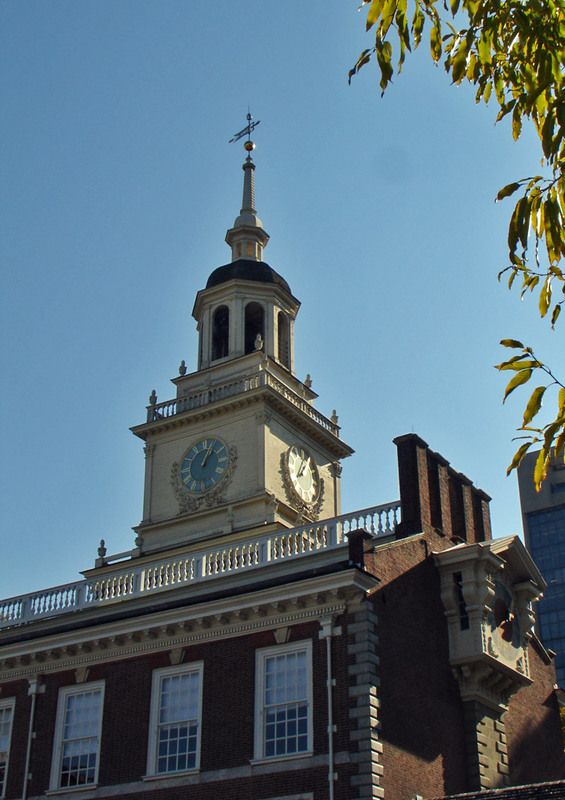 Philadelphia County Courthouse, the purpose it was built for.